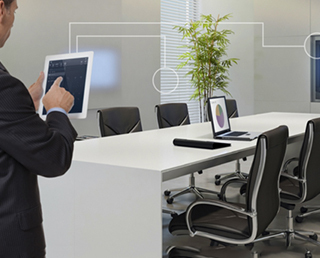 It goes without saying that in today’s business environment, audio-visual systems and their infrastructure are almost indispensable for any enterprise to conduct their business processes in desired fashion. It, therefore, becomes imperative for them to ensure the equipment and the set-up is always in functional and in good condition to withstand challenges, known or unknown. Needless to say, a proper upkeep of audio-visual communication systems will significantly contribute not only to the brand value of the enterprises but also to the productivity and thereby the profitability of business. It is in this regard that having on board a qualified AV serviceman (a professional/certified audio-visual technician) indispensable. This single measure can help trouble shoot a critical situation; prevent unforeseen interruptions in productivity and ensure the deliverables are maintained as scheduled. 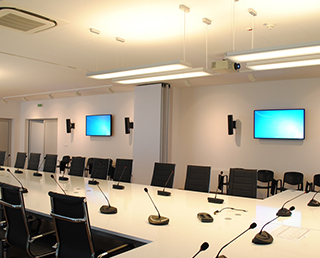 One of the early benefits of having someone in-charge of the AV systems is that the person first gets acquainted with the systems deployed; then understands the needs of the company, and the way the systems are meeting the requirement. That directly contributes to keeping a vigil on the functionality of the systems, and indirectly contributes to making a framework of requirements and provisions made on site. That actually helps both the person-in-charge, as well as the employing company to learn the processes that are required, and way they are to be maintained. With changing market conditions they both can together ensure that the system is adaptive to those changes as well and stay in tune with time. 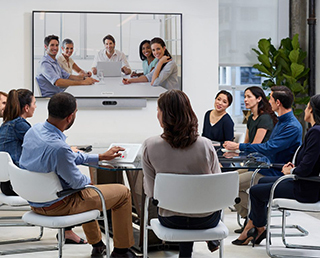 In a typical AV setting, it is often clichéd that it is ‘next to being there.’ That’s the perceived capability of a perfectly deployed AV network. A written communication may often be mistaken by the receiver due to the tenor of the intent for a simple reason that ‘face-reading’ is not possible with written material as person writing that is not visible. 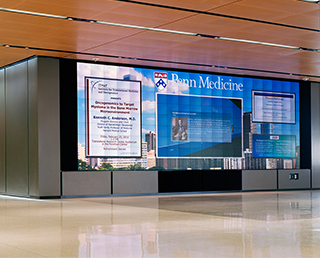 However, an AV system makes that possible, and a perfectly laid out AV network renders people on either side of the network feel the clichéd saying. The expressions and mannerisms are rendered clearly understandable, facilitating an understanding of mindset, i.e. perceptions of people. That makes an important item of the indices defining the business approach of the enterprise. For a simple reason that business communications are better conveyed by means of AV tools, and better conveyance of ideas and actions results in better flow of processes, it improves organizational efficiency too, in a very intangible manner. On the other hand, people working on the systems get more and more tuned in the nuances of the equipment they too get more efficient with the systems maintenance even as they contribute to the company’s overall deliverable efficiency. All this also enables finding new techniques and newer ways of handling technology implements driving in larger benefits to company. In today’s business environment, time is as precious as easy and effective communication of information. However, as a means of bundling information in short format, very often companies exchange data that is too intricate to comprehend, viz, pie charts, graphs, diagrams, photographs, ppts, video clips, and animated depictions. It becomes too interminable too to explain information contained in such material. 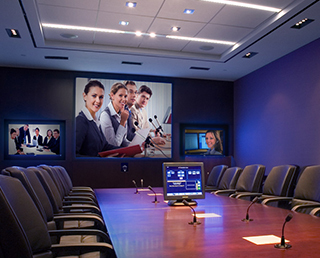 Use of AV systems in these situations not only makes it easy and effective communication but also saves lot of time. However, all this is possible not just by setting up good AV network, but it is maintained properly both by Hardware, and software. In any business, every tool of the processes is a resource for the company. Therefore, it becomes imperative to properly maintain those tools. This maintenance is imperative from other perspective as well- that proper upkeep of the tools is a continuous process, it contributes to inculcation of a particular work culture that can in turn determine the organizational culture. In other words, maintenance of audio-visual communication tools contribute to organizational work culture- which in turn reflects in the brand value and profitability as well.